Oil Resistant Conveyor BeltOil Resistant Conveyor Belt is used to deliver chemicals, porridge, pottery, foodstuffs, fertilizers, and when the drugs are attached to the material carried. 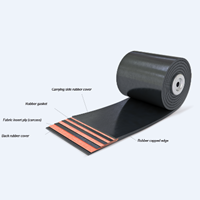 According to the material delivered or the type of drug attached to the material delivered, rubber-resistant round or acid-base round belts should be selected. Conveyor Belt Polyester PolyamideConveyor Belt Polyester Polyamide is a round belt type that uses canvas woven by polyster in warp and polyamide in weft.The belt has low elongation characteristics in wrap and good troughability in feed, good water proof, good wet strength, no mold, suitable for medium, long distance and heavy load transport. Due to the high initial modulus of the polyester, the belt can choose a relatively low safety factor. Nylon Conveyor BeltConveyor Belt Nylon is one kind of belt made from the best quality synthetic fiber in rubber industry does not exist today, nylon canvas woven by nylon fiber both in warp and weft, it is the most used cloth in rubber industry, and its benefits outstanding are high abrasion resistance, high tensile strength and good fatigue resistance. Belt conveyor with nylon canvas inside has characteristic thin belt body. High tensile strength, good anti-shock, good estrangement, high adhesion between layers, exceptional flexibility, and long life. 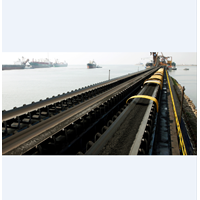 Nylon belt conveyor suitable for transportation medium, long-distance and heavy load materials, widely used in mining, metallurgical industry and architectural industries, ports and so on. We also provide quality round belt. Heat Resistant Conveyor BeltThis type of conveyor belt is designed with a product that is able to withstand heat, making it suitable to be applied to high temperature products industry. Round belt of this type using canvas cotton or canvas EP as a frame material. Rubber covers and rubber cushions are styrene-butadiene chlorobutadiene rubber that has good heat resistance. This product can work under 120 ℃. 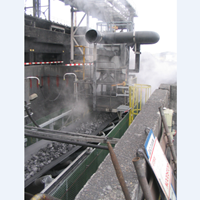 Height-belt conveyor resistant is widely used in metallurgy industry, cement, coking, steel, and others. 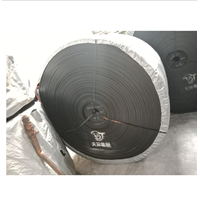 Conveyor Belt Steel CordConveyor Belt Steel Cord is a type of conveyot belt that has a High Strength Steel Cord ensuring the selection of Beltram Steel Cord Belt for higher working voltage requirements compared to conventional belt fabrics. 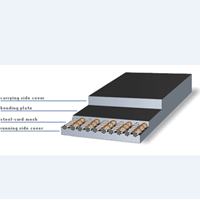 Long Life Beltram Steel Cord Belt provides long life by harnessing the high fatigue strength of Steel Cords. We also provide round belt. 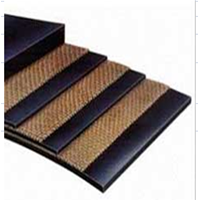 Patterned Conveyor BeltConveyor Belt Motifs Category: In general, heat-resistant round belts, acid and alkali-resistant and oil-resistant belts, are categorized according to rubber cover characteristics. 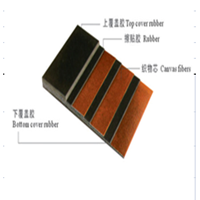 Steel Cord Conveyor BeltThe high strength Steel Cord ensures the selection of Beltram Steel Cord Belt for higher working voltage requirements compared to conventional belt fabrics. Advantages of High Tensile Steel Cable High Strength Steel Cord ensures the selection of Beltram Steel Cord Belt for higher working voltage requirements compared to conventional belt fabrics. 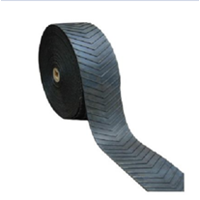 Long Life Beltram Steel Cord Belt provides long life by harnessing the high fatigue strength of Steel Cords. Widely used for round belt. Nylon Conveyor BeltNylon is one of the best quality synthetic fibers in the rubber industry does not exist today, the nylon canvas is woven by nylon fiber both in warp and weft, it is the most used fabrics in rubber industry, and its remarkable benefits are high abrasion resistance, high tensile strength and good fatigue resistance. Belt conveyor with nylon canvas inside has characteristic thin belt body. 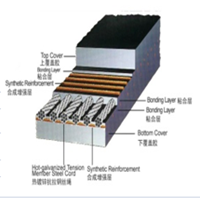 High tensile strength, good anti-shock, good estrangement, high adhesion between layers, exceptional flexibility, and long life. Nylon belt conveyor suitable for transportation medium, long-distance and heavy load materials, widely used in mining, metallurgical industry belt round and architectural industries, ports and so on ..
Conveyor Belt Oil ResistantConveyor Belt Oil Resistant is a type of belt that is used to deliver chemicals, porridge, pottery, foodstuff, fertilizer, and when the drugs are attached to the material carried. 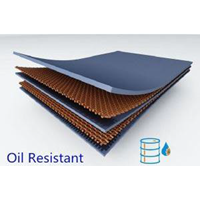 According to the material delivered or the type of drug attached to the material delivered, an acid-proof or base-acid rubber cover must be selected. This product can also be used for round belt. Polyester Polyamide Conveyor BeltPolyester conveyor belt also called EP conveyor belts, the tension resistant body is a canvas woven by polyster in warp and polyamide in weft.The belt has low elongation characteristics in wrap and good troughability in feed, good water proof, good wet strength, no there is mold, suitable for medium material transport, long distance and heavy load. Due to the high initial modulus of the high belt of the polyester, the belt can choose a relatively low safety factor.